This series is the BEST Victorian era series on TV. It's not steampunk, but it's the next best thing. The BBC cancelled it after two seasons and there was a big revolt among viewers. The show got picked up for a third season by Amazon Prime and then before the season was over, Amazon Prime ordered a season 4 and 5. 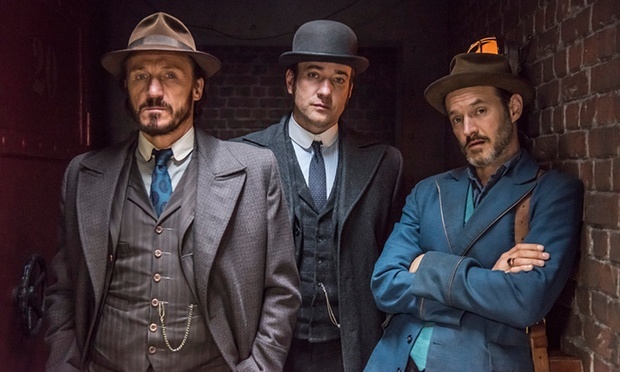 Season 1 takes place in 1889, right after the Ripper Murders in Whitechapel. Season 2 takes place in 1890. Season 3 shakes things up a bit and begins in 1894 and now Season 4 takes place in 1897. They're already booked for a Season 5 and I'm keeping my fingers crossed that HOUDINI makes an appearance in that show! The video below is the teaser video for Season 4. Now, there is an air date listed as January 15th, 2016. However, I have come to understand that this only applies to Amazon Prime customers in the UK. For folks like me in the USA, I do not know when we will be able to see season 4. Soon I hope. Until then, enjoy the trailer. AND THEN below that video will be a second teaser video with 9 minutes from episode 1 of season 4.